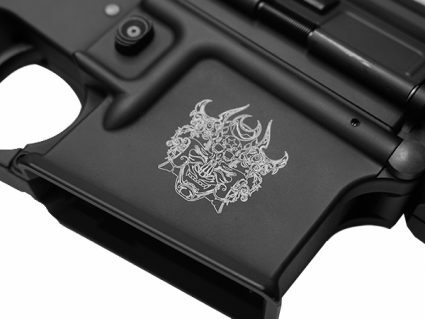 SHIPPING IN THE U.S. ONLY. 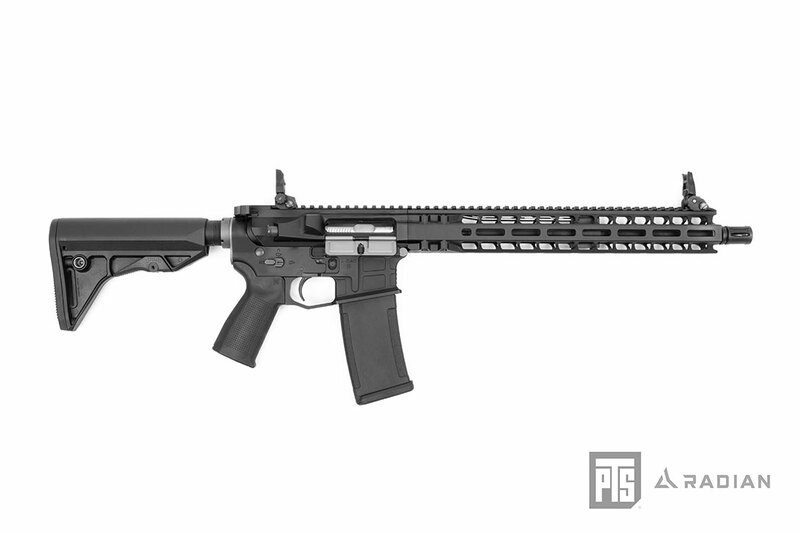 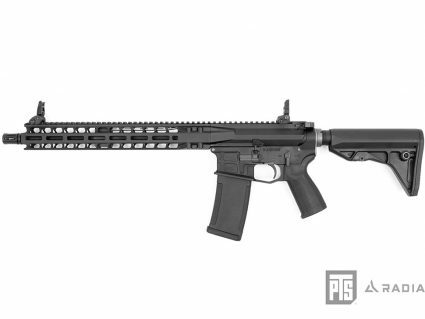 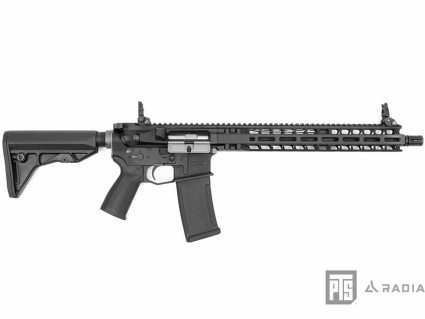 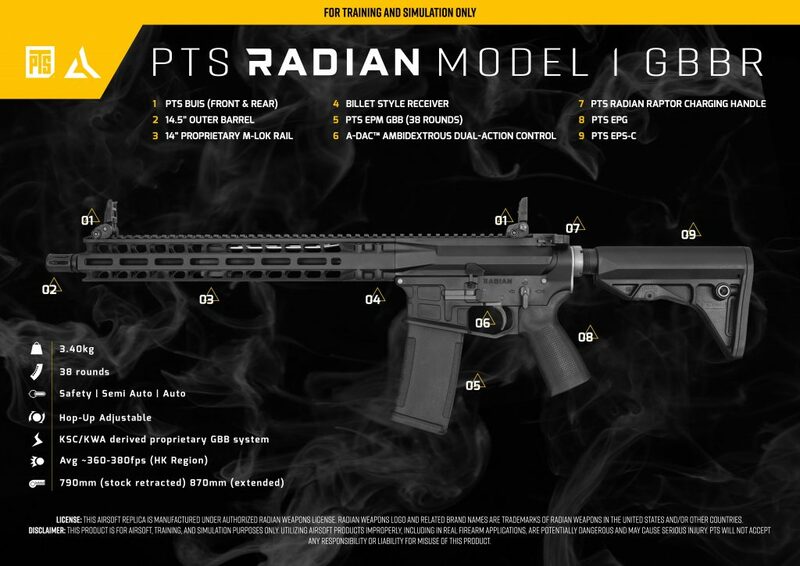 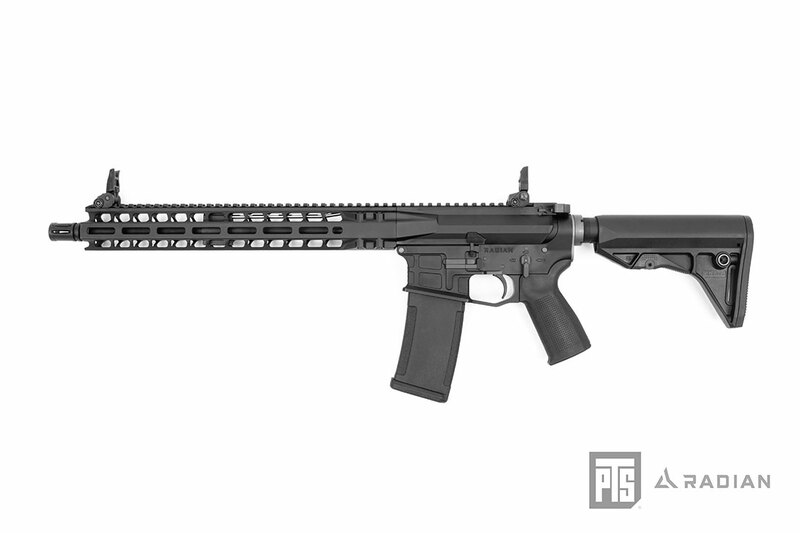 The PTS Radian Model 1 Gas Blow Back Rifle is a truly innovative rifle in both form and function. 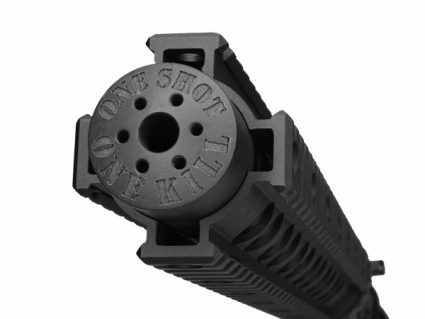 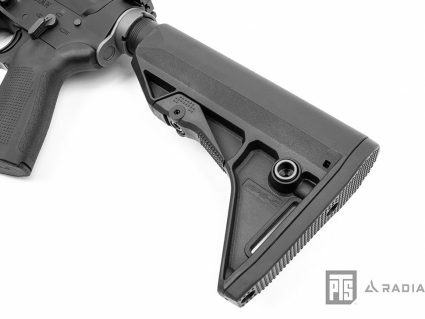 Firstly, the proprietary M-LOK compatible rail smoothly blends with the uniquely designed proprietary billet style upper receiver thus making the entire upper receiver assembly ultra-rigid. Installed in the upper receiver is the Radian Raptor ambidextrous charging handle. 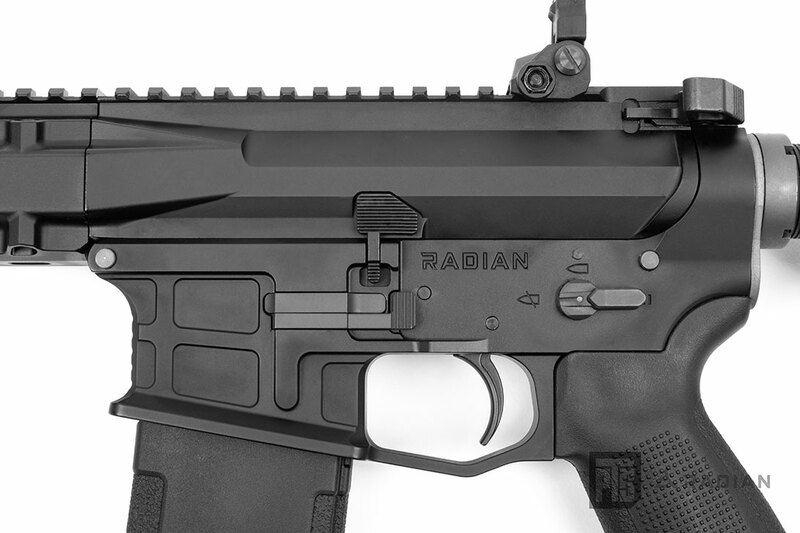 The billet style Radian lower receiver features an integral enlarged trigger guard, a flared magwell, and the ambidextrous Talon safety selector. 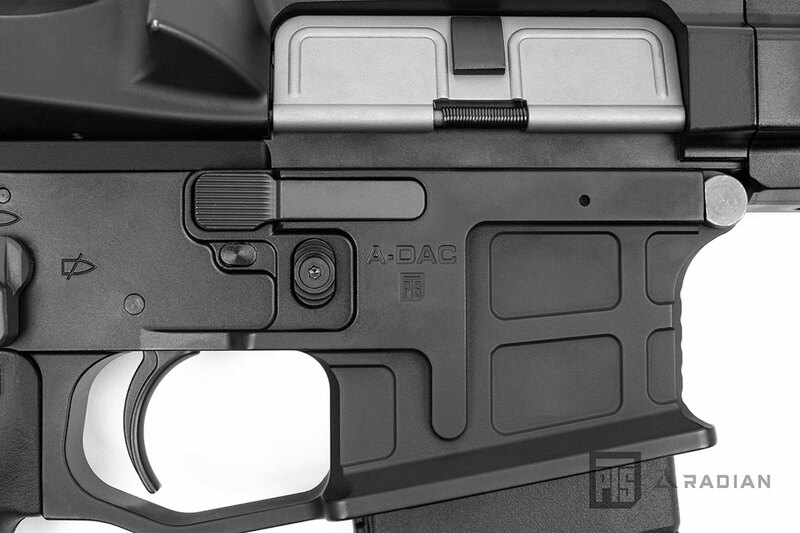 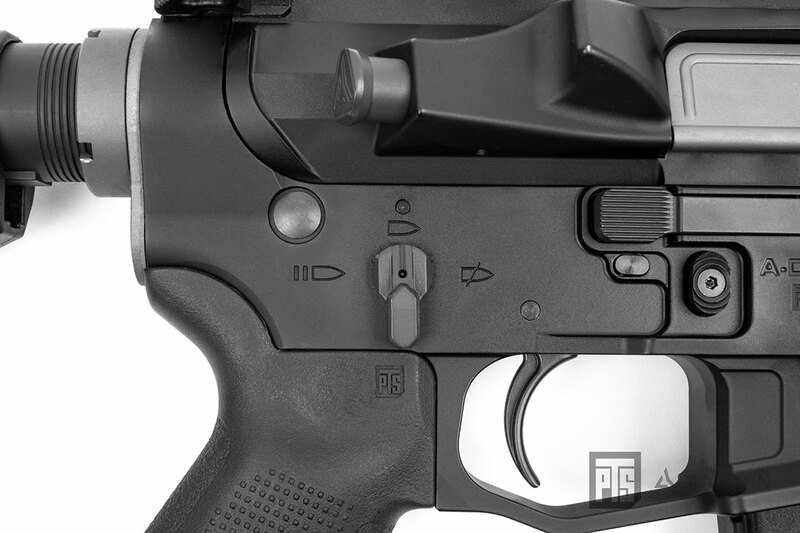 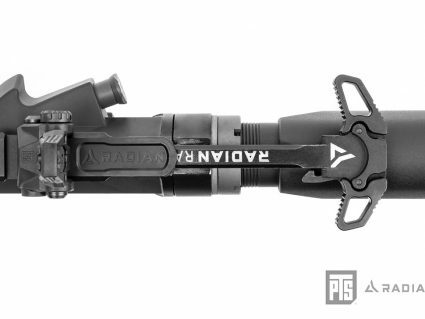 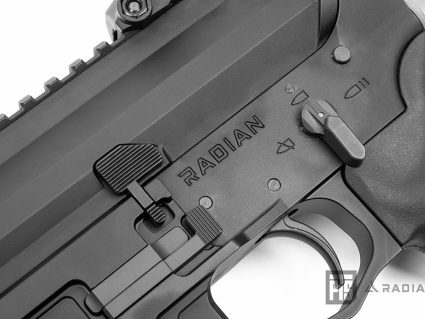 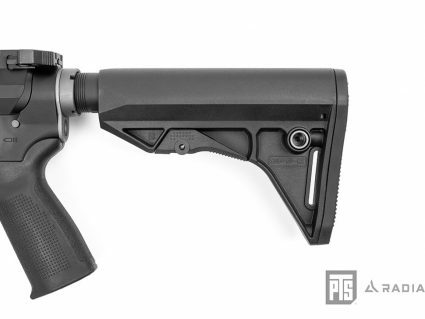 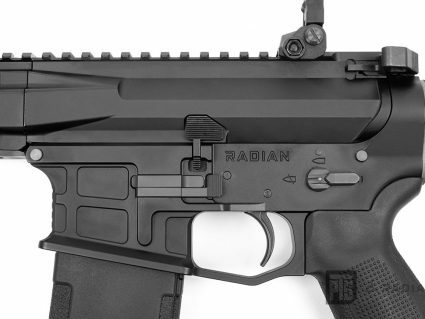 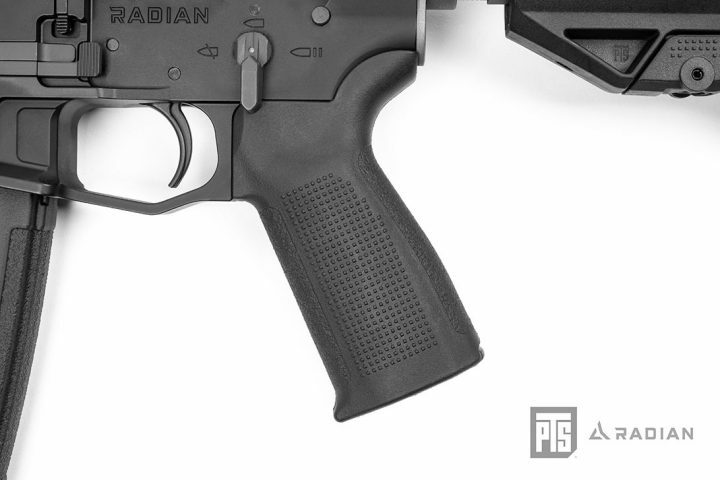 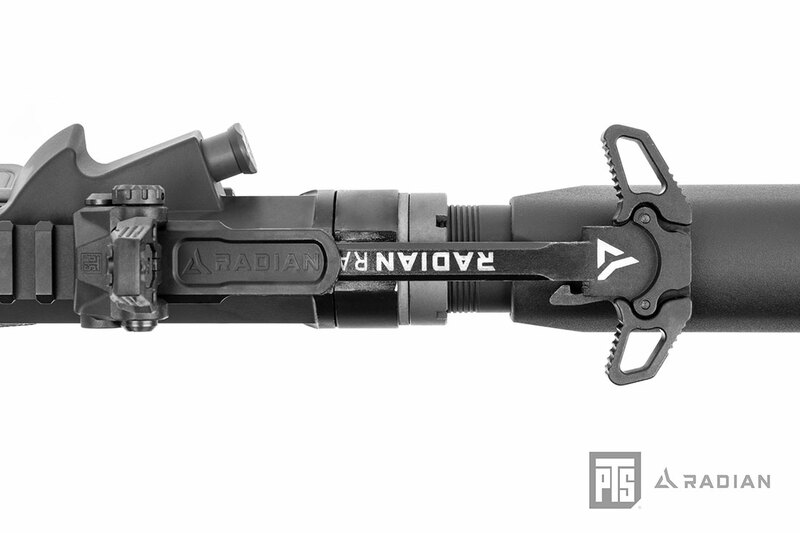 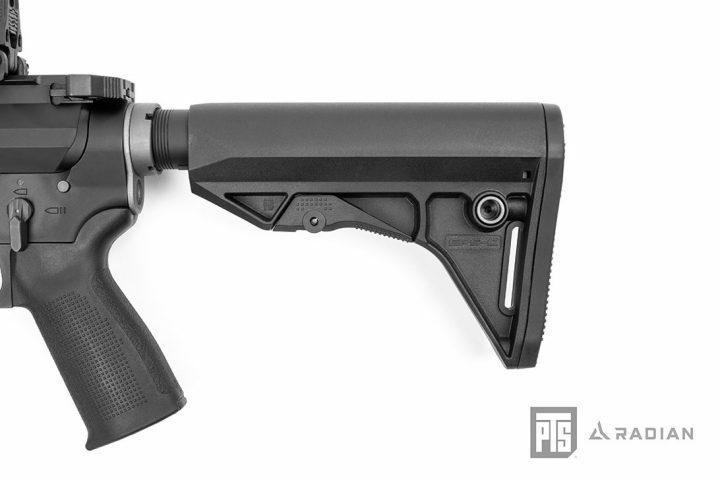 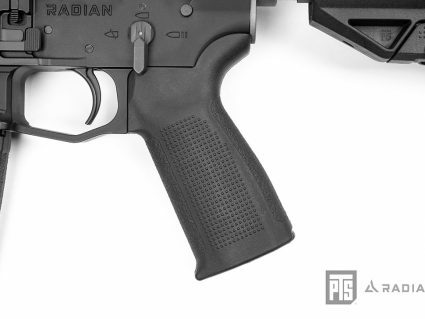 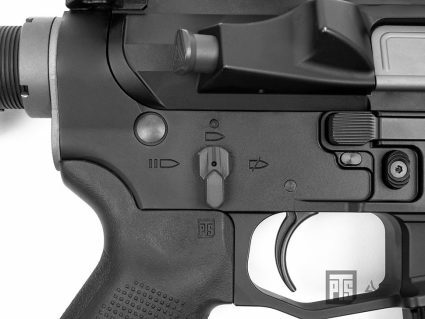 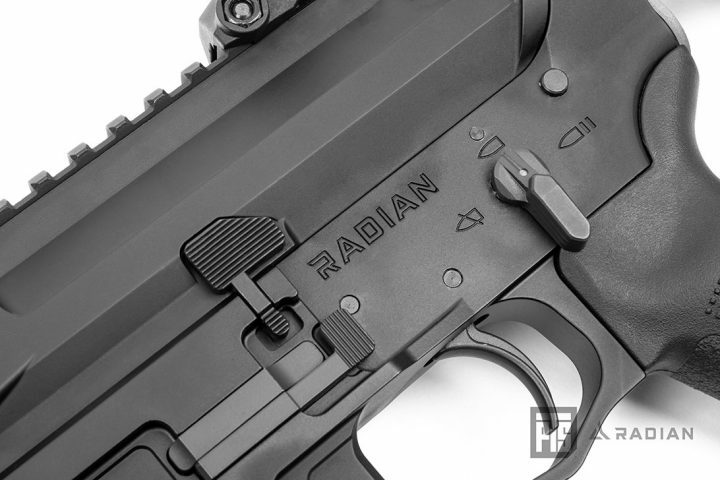 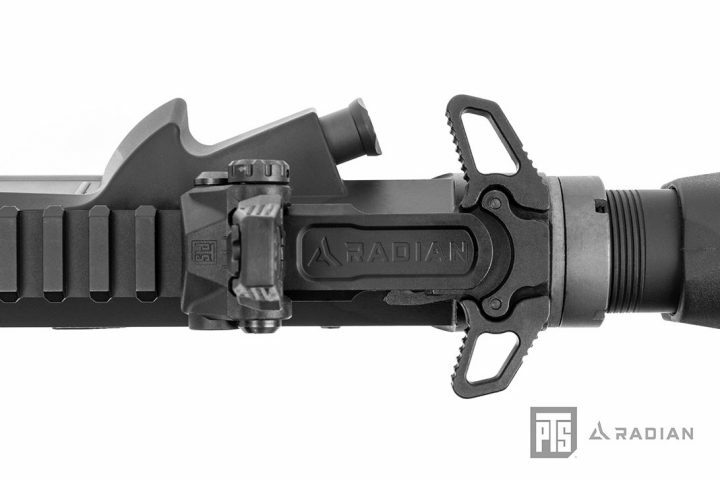 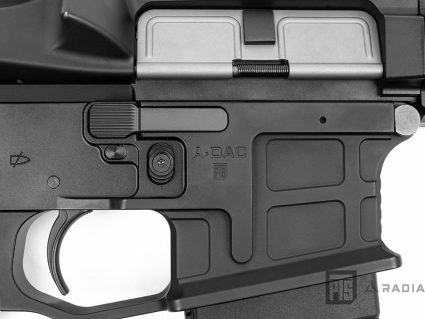 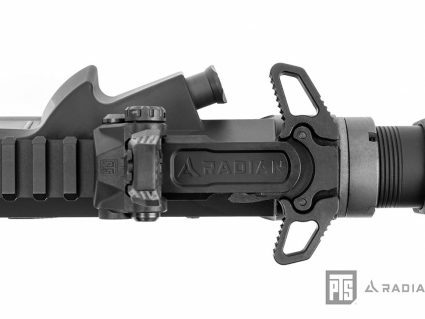 Additionally, the Radian receiver incorporates the revolutionary Radian Weapons patented A-DAC (Ambidextrous Dual Action Control) which allows right hand shooters to easily lock the bolt to the rear without taking their hand off the fire control. 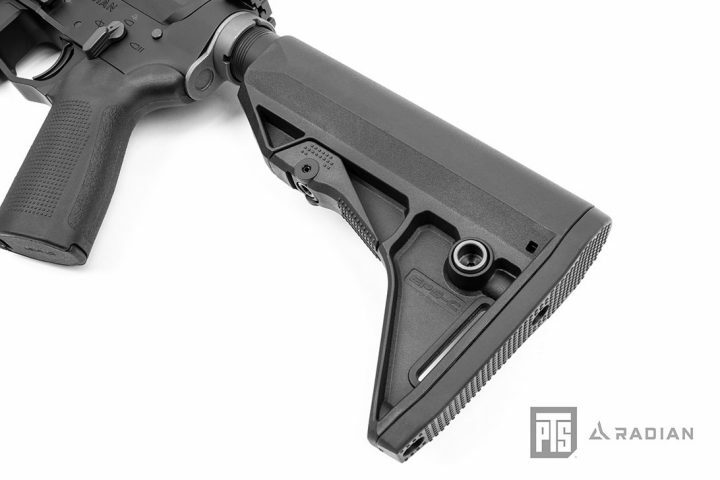 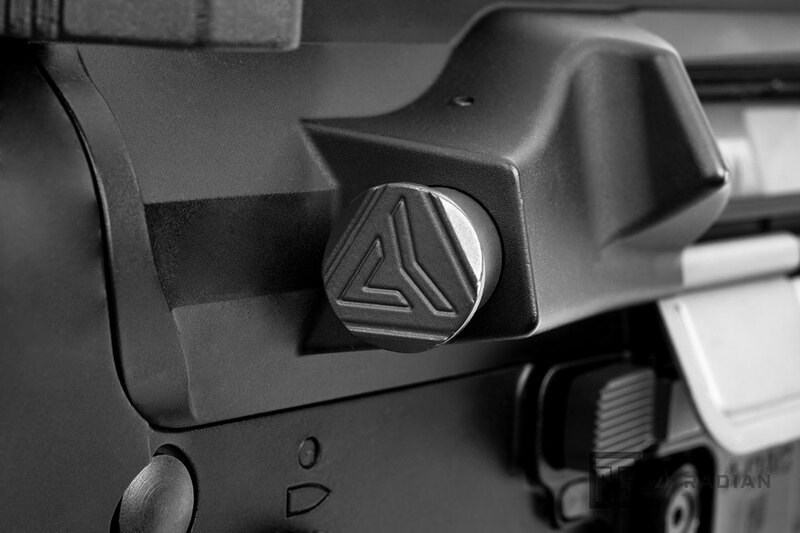 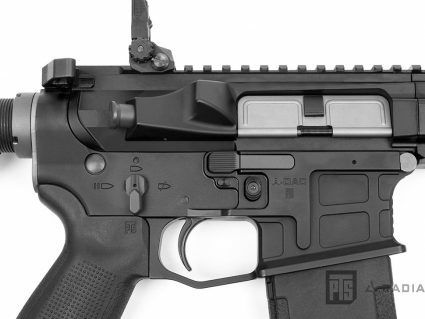 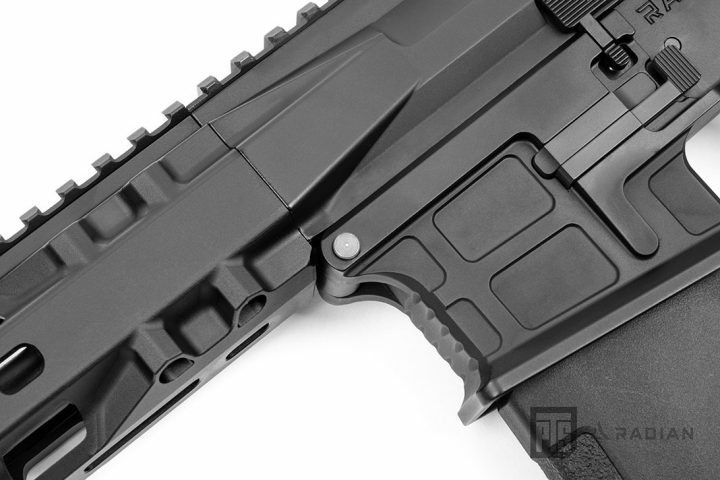 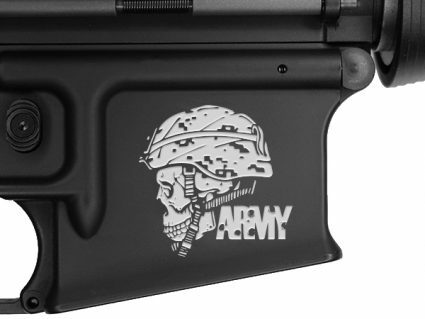 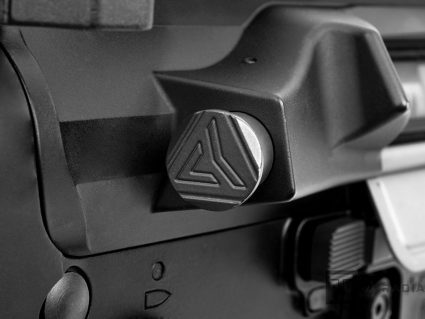 To hold the bolt back using the A-DAC, simply pull the Raptor charging handle to the rear, depress the right side magazine release button, and then release the charging handle. 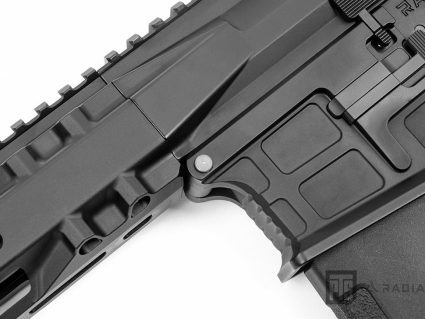 A paddle above the right side of the ambidextrous mag release allows the right hand shooter to release the bolt forward with their trigger finger thus saving precious fractions of a second in getting the gun back into action. 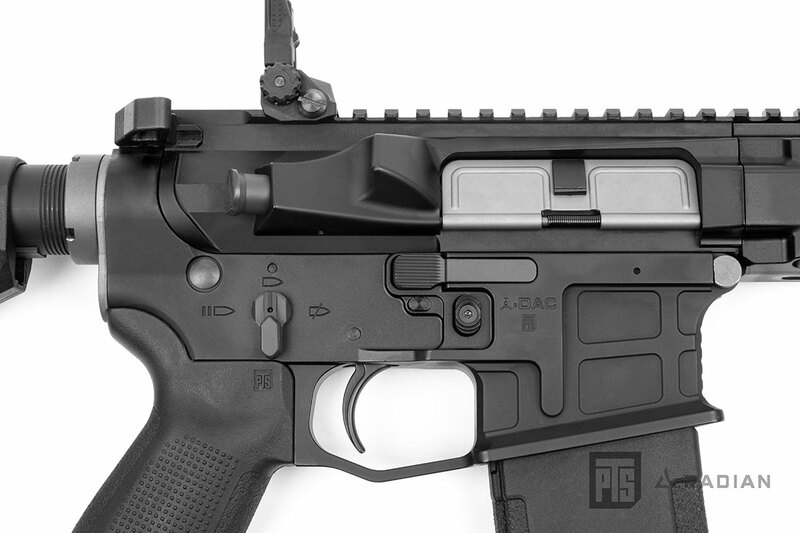 Left hand shooters have the same control benefit of the ambidextrous mag release as well as an enlarged bolt release/bolt lock paddle. 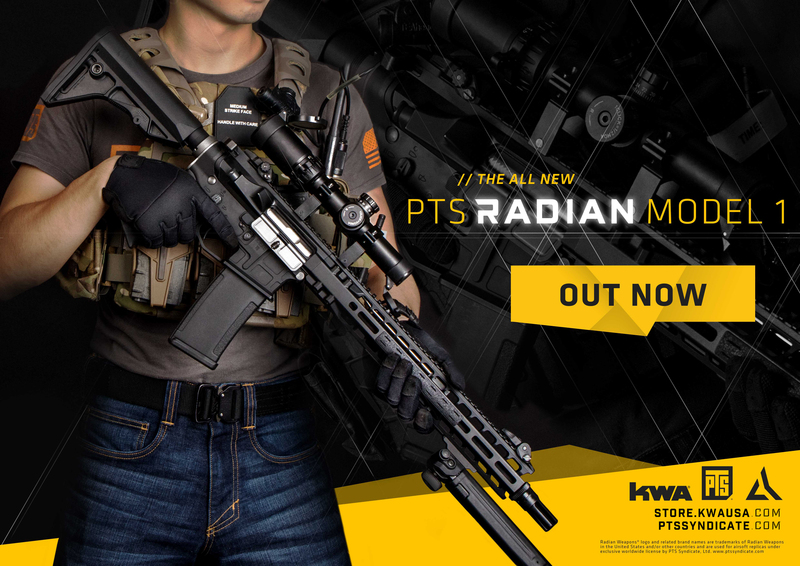 Assembled with our proprietary design PTS Enhanced Polymer Grip, Enhanced Polymer BUIS, Enhanced Polymer Magazine, and Enhanced Polymer Stock Compact and based on the incredibly robust KSC/KWA GBBR system, the PTS Radian Model 1 represents the pinnacle of the gas blowback training gun.